I'm a big fan of Alabama Shakes and missed their Milwaukee show earlier this year. Of course, I was out of town when they came to our town. My husband did a little research and surprised me with a trip to Colorado to see Alabama Shakes at the Red Rocks. I have never been to the Red Rocks. In fact, it was a bucket list trip for me. It's known as one of the best outdoor venues in the world to see a concert. Indeed it is. Here are some highlights from our trip, as well as some tips for visiting the Red Rocks for a concert. As out of town visitors that flew to Denver, CO, we did not have a bunch of tailgating equipment and after reading online it appeared that tailgating was discouraged especially with grills, popups or beer and alcohol. Turns out that EVERYONE was tailgating with all those things. Although they were only using small gas grills as charcoal grills are not allowed due to risk of fire. Next time, we'll definitely be packing more than backpacks, including a cooler full of ice-cold beer, lawn chairs, music, and grillin' food. The Red Rocks is a national park with hundreds of acres. While we were primarily there for the show, we did have a chance to hike around the facility, take in the stunning scenery and nature, and all while getting some exercise. We even saw a family of deer. The two fawns were super playful and put on a good show of tag for all the spectators. While we didn't have a true pedometer on us, my phone did track more than 11 stories climbed and 20,000 steps. Pack an extra layer of clothing or jacket as the whether can change very quickly at Red Rocks. You'll want to check the weather and plan accordingly. During our visit, there was everything from sunny and hot weather to cold, windy and rainy weather. For the most part, it was a beautiful day, but umbrellas, jackets, hats, sunglasses and shorts were all put to use. If you're interested in dining before a concert, be sure to call early to make reservations. It was booked for the pre-show dinner by the time we called. However, we were able to have lunch there earlier in the day. They did shut down after lunch and in fact, the whole facility shut down for pre-show prep and sound checks. So be warned, if you want to check out the facility during the day, get there way early during the lunch hour or call ahead. We heard all kinds of tips on where to park. Basically, no matter where you park, there's going to be some stair climbing. We decided to get there early to scope out the venue and see where we would be sitting. We were able to park at the North Lot right by the main entrance at that time. But we learned that they will close the top visitor lot before the concert for VIP and accessibility parking. We decided to move to the lower North Lot and ended up pretty close to the facility. Parking that close to the entrance meant that we would be the last out, and I have to say, it was a VERY long wait. Traffic jam to the max. Fortunately we weren't in a hurry and all worked out. Next time, we'll probably park closer to exit or plan to tailgate more after. Again, plan your parking based on where you'll be sitting, stairs you prefer to climb either before or after and if you'd rather get in or out sooner or later. The show and album is amazing. 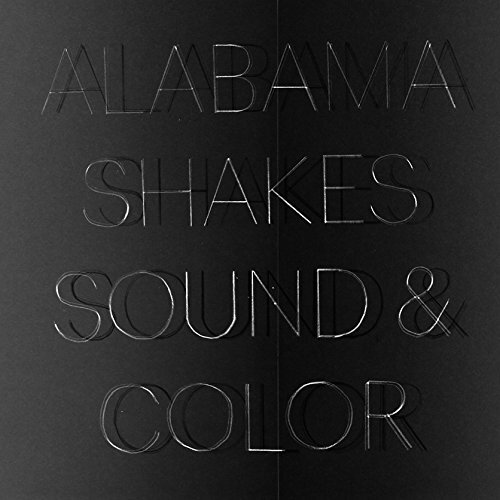 Check out Alabama Shakes Sound & Color online if you haven't heard it already. We had an amazing trip and will definitely go again. Let us know what shows you've seen at Red Rocks and if you have a tips. Bring your walking shoes and get ready to climb a lot of stairs. Everywhere I looked there was a spectacular view. Next time I need a high-quality camera to try to capture more, but my iPhone did pretty good. Notice the stage behind us. Denver is way off in the distance. The lights from town along with the stars in the sky were beautiful. They light shiprock and creation rock at night. The colors change as the sun goes down. Stunning. Another pic of the Red Rocks Amphitheatre at night. Alabama Shakes at the Red Rocks was everything I imagined and more. It was beautiful. I highly recommend both their first and second albums. Bucket list item checked!